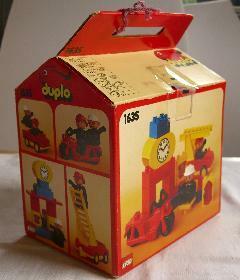 1635 Fire Dispatch is a DUPLO Town set that was released in 1991. It contains 18 pieces including two DUPLO Figures. It also contains a motorbike and a small car. Facts about "1635 Fire Dispatch"
This page was last edited on 4 May 2016, at 00:02.